It probably took a bit of convincing for man to turn wolves into dogs through domestication. 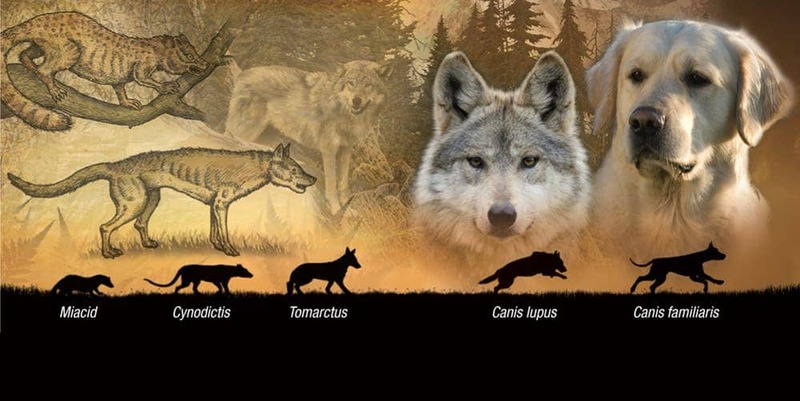 At least this is not settled for debate: dogs branched from Eurasian grey wolves some 15,000 years ago. What’s less clear is where did this first happen. After embarking on a huge study which led them to analyze the genetic markup of hundreds of dog breeds, Adam Boyko at Cornell University thinks he’s finally got an answer: dogs were first domesticated in Central Asia, or in modern day Nepal and Mongolia. Boyko and colleagues swabbed DNA samples from 4,500 dogs belonging to 161 breeds, but also from 549 “village dogs” – the strays, genetically impure and wild variety of dogs. In total, dogs from 38 countries had their DNA sequenced. This analysis suggests that East Asia, India and South-West Asia had the highest level of genetic diversity, giving confidence that dogs originated in what is now Nepal and Mongolia. This far from the final word yet. Previous studies posited that dogs actually first appeared in Europe, others suggest Siberia as a more likely candidate. Boyko’s work, however, bears the largest population sample by far for such an investigation. “We cannot rule out the possibility that dogs were domesticated elsewhere and subsequently, either through migration or a separate domestication event,” Boyko said. The earliest archaeological evidence of canine domestication can be traced to the Natufian Grave, (c. 12,000 BCE) discovered in Ein Mallaha, Israel, in which an old man was buried with a puppy. Other ancient findings suggest that dogs were ubiquitously seen as guardians and faithful companions, no matter the culture or time – just like today. For instance, in the Epic of Gilgamesh from ancient Mesopotamia one scene depicts the goddess Ishtar traveling with seven prized dogs. “The dog (Sumerian name, ur-gi; Semitic name, Kalbu) was one of the earliest domestic animals and served primarily to protect herds and dwellings against enemies. Despite the fact that dogs roamed freely in the cities, the dog in the ancient Orient was at all times generally bound to a single master and was cared for by him. 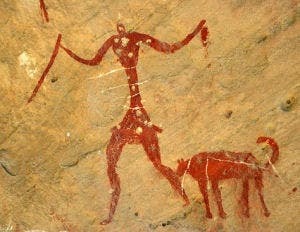 Of course, the dog was also a carrion eater, and in the villages it provided the same service as hyenas and jackals. As far as we can tell, there were only two main breeds of dog: large greyhounds which were used primarily in hunting, and very strong dogs (on the order of Danes and mastiffs), which in the ancient Orient were more than a match for the generally smaller wolves and, for that reason, were especially suitable as herd dogs. The sources distinguish numerous sub-breeds, but we can only partially identify these. The dog was often the companion of gods of therapeutics. Although the expression `vicious dog’ occurred, `dog’ as a derogatory term was little used (91),” notes famed historian Wolfram Von Soden. In Egypt, dogs were valued as part of the family and, when a dog would die, the family, if they could afford to, would have the dog mummified with as much care as they would pay for a human member of the family. In ancient Greek literature, the first mentions of dogs come under the three-headed dog Cerberus who guarded the gates of Hades. Dogs were the earliest animals domesticated in China (c. 12,000 BCE) along with pigs and were used in hunting and kept as companions. The blood of a dog was an important component in sealing oaths and swearing allegiances because dogs were thought to have been given to humans as a gift from heaven and so their blood was sacred. Today, the Chinese still spill the blood of dogs, but for less ritualistic purposes (i.e. feeding). Ancient Aztecs actually thought dogs predate humans. Moreover, the souls of those who died without proper burial, such as those who drowned or were lost in battle or died alone on a hunt, were found by spirit dogs who would ensure their safe passage to the afterlife.